at 222 Queenston Road, Hamilton, on the south side of the road. 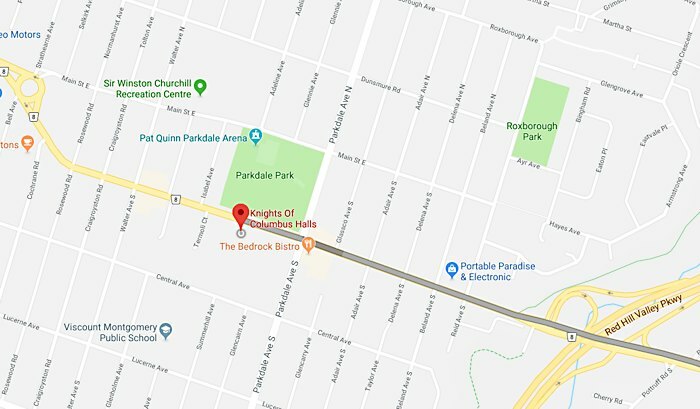 The nearest intersection is Parkdale Ave. S. and Queenston Road. 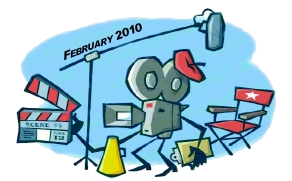 The club was formed in 1938 as the Hamilton Movie Club, and has seen the transition from expensive, complicated film to the easy point and shoot reality of today. This meant progressing from 16 mm. through 8 mm., Super8, and most recently, the various incarnations of video. In spite of the ease by which video can be produced today, there is much more involved with producing good video than simply pointing and shooting. Proper videography involves focal length, lighting, manual and automatic focus, subject matter, background, and let us not forget, the other half of videography, which is audio. At the HVFM, you will find a wealth of knowledge freely offered from our professional members, and our serious amateur camera enthusiasts. You’ll find people who love film and video, and love talking about it in our friendly environment. No matter what your level of knowledge on the subject, the HVFM members are welcoming and helpful. 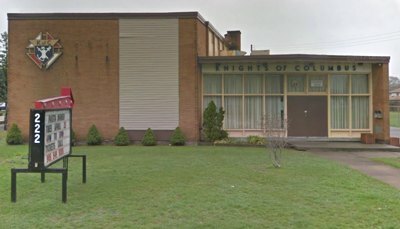 Membership fluctuates, of course, but currently about forty members, from as far afield as Brantford, Markham, Niagara Falls, Simcoe, Toronto, Welland, Woodstock, and even Barrie, attend twelve regular meetings at 7pm on the first Thursday of every month at 222 Queenston Road at the Knights of Columbus Hall in Hamilton. Doors open 7:00 PM – Meeting starts 7:30 PM. Enter in the side door from the parking lot. Your 2017 – 2018 Exec.